Do I Need To Insulate My Flexible Flue Liner? There is NO Building Regulation that says you must insulate around a flexible flue liner, within a chimney stack. However building regulations do state that gases must be safely taken away from the building and by insulating your flexible flue liner, within the chimney cavity will ensure that the gases will travel directly up from the stove and out through the chimney top. If the chimney is on an outside wall, or the stack is particularly tall, or the flue is of a large diameter then the answer to the question is probably YES ! By keeping the flue gases warm you will increase the speed of those gases escaping and help prevent condensation forming on the liner. Cooling gases can result in condensation flowing down the flexible liner and entering the stove itself. This may, over time cause damage to the flue and the stove. A good quality Chimney Insulation is the ideal accompaniment to any flexible flue system, especially if your chimney is on an external wall. By keeping out the cold and maintaining the heat within the flue, Vermiculite Granules and FlexWrap or Rockwool Insulated Tubes will keep the hot gases rising for an efficient draw on your stove. Vermiculite granules are supplied in a 100l bags and can be poured into the chimney cavity once the liner and register/closure plate are in place. 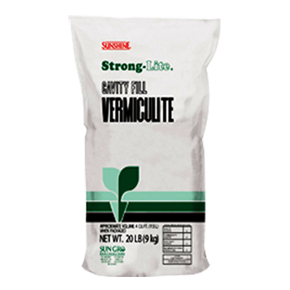 Please see our Vermiculite Calculator to estimate how many bags of Vermiculite you will need for your chimney. 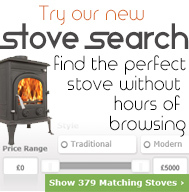 You will need to enter the dimensions of the chimney stack and the diameter of the liner you intend to use. Vermiculite granules are only recommended if the chimney is watertight. FlexWrap Blankets are supplied in 10m lengths for either 5-6” flexible liner or 7-8”. They are secured by Aluminium Securing Bands available in the two sizes as above. 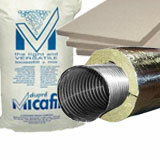 FlexWrap is secured around the flexible liner before it is dropped down the chimney. The FlexWrap is 12mm thick and can withstand continuous high temperatures of up to 550°C as it is made from a non-combustible material. 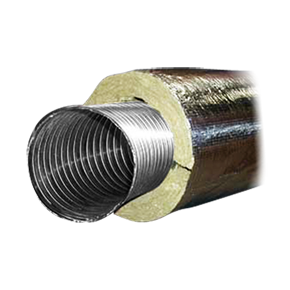 Rockwool Tube insulation is available in 1000mm lengths to fit 5”, 6” and 8” flexible flue liner and is supplied as a tube. The tubes are manufactured from non-combustible rockwool which does not sustain vermin and will not encourage the growth of mould, bacteria or fungi. They can also withstand continuous hot temperatures of up to 500°C. 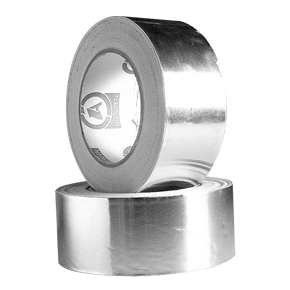 It is recommended that all joints are sealed using 50mm wide aluminium tape. Each roll also comes with a self-adhesive tape which must be used for all joints.